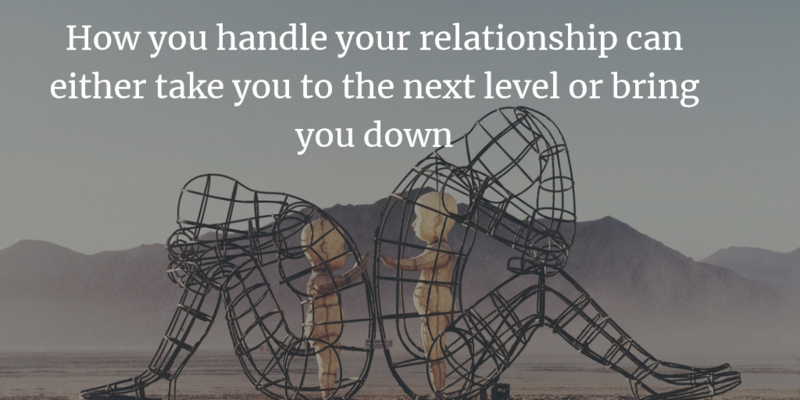 How you handle your relationships can either take you to the next level or bring you down. Lately it seems that relationships are keeping people down. They either have had a bad relationship or they think have a good relationship, yet they have no one to talk to. They feel alone and that nobody cares. Just because you have likes on your Facebook Page does not mean that you have true relationships. People walk around acting as if life is good and that they do not have a care in the world, but all of us go through struggles and have difficult times. All of us struggle with self–esteem issues wondering does this person like me, is my nose too big, or are my eyes weird or whatever. These are real issues that all of us struggle with. Some people may claim that they want to help you out, but when someone comes forward especially over the internet people come out of no where bashing and joking and giving the person a hard time. Mob mentality and cyber bullying begins. Whatever happened to the old saying “if you have nothing nice to say then don’t say anything at all.” What does this saying mean? It means if you are not uplifting someone; if you are not saying something decent then why are you bothering to say something. There is no reason to tear others down. We are not talking about good natured kidding because we all have to be able to laugh at ourselves sometimes, but we are talking about people that viciously attack others on Social Media. These people overly exaggerate or say things that are completely untrue. And most times they don’t even know the person that they are saying the hurtful things about. Are these healthy relationships? Absolutely not and when you respond to these people you are egging it on even more. It is sad but people will share a negative message before they will share a positive one. 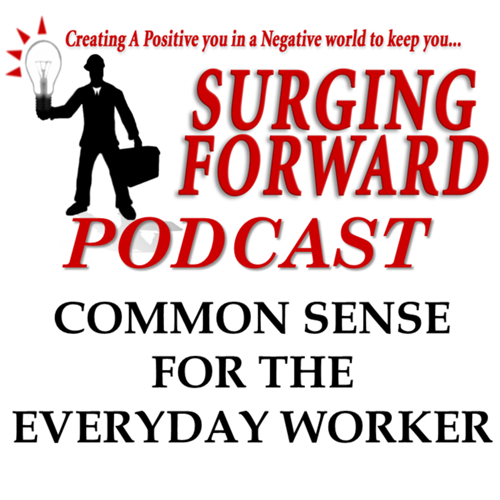 This Surging Forward Podcast was started to help you to create a positive you in a negative world. We can only make choices for ourselves. Many good people get sucked into the negative. They attack someone else so that they can avoid getting attacked themselves. We feel so insecure in our own lives that when we see someone else going through a struggle we jump in on that band wagon that way no one is bothering us. But this just sends us down a spiraling rabbit hole and before long we find ourselves on the other end of the spectrum and all those so called friends are gone. What if more people started to encourage more people? Often this does not happen because people do not have healthy relationships. They feel alone and they don’t want to take a step out, because they are afraid that they will be picked on if they are wrong. No one knows everything about everything. And don’t feel like you have to know everything. That is what relationships are about; people helping people. Have you ever been in a relationship with people that can influence you? They bring you up when you are down. They stand by your side when you make a mistake. Relationships are only good if they help you through the rough times. Having a positive relationship is what gets you through those difficult times. My pastor made a statement that who you follow defines who you are and who you are defines who you will follow. Even when it comes to religion it is all about a relationship. You may know people that do a lot of good things and try to be a good person, but if you don’t have a relationship and all you have is “religion” then who is going to stand in your court to help you when times get tough. It is all about a relationship. Life does get tough, but you can keep Surging Forward by continuing to take life one step at a time to create a positive you in a negative world. Only you can make choices for you.